Recipe by Naiya Sheth: During this lovely season of winter it is advisable to eat more n more green vegetables. So, here it's a super delicious healthy recipe from pigeon peas. Earlier we made kachori - a very well known a mouthwatering Gujarati farsan from the same ingredient. But that was fried, so this time I made it as paratha with a little twist of fresh green garlic. The most important thing about this recipe is it is made in the microwave, so no need to observe and stir often. So, what are you waiting for let's make this healthy and yummy Hariyali paratha today as a heavy snack, lunchbox idea or as single meal dinner also. Recipe by Naiya Sheth: As we all know quesadilla is a very famous and delicious Mexican recipe. But I have a twist as always. It's a home made recipe for pocket Quesadilla, means it is a same recipe for Mexican beans quesadilla with a small twist to make it easy. Actually I made it for my sons lunch box. And that's why I sealed it from all side instead of covering. And to make it healthier I tried to use more and more vegetables and whole wheat flour for covering instead of refined flour tortilla. So let's try this delicious byte size recipe of Pocket quesadilla today. Recipe by Naiya Sheth: Must be surprised! A combination of Punjabi paratha and Italian pizza! But that's true. Actually, it may be difficult to pack pizza in kids lunch box. So I tried this delicious combination. And it came out very nicely. So, don't wait just try this delicious snack today. It can be made for dinner also. 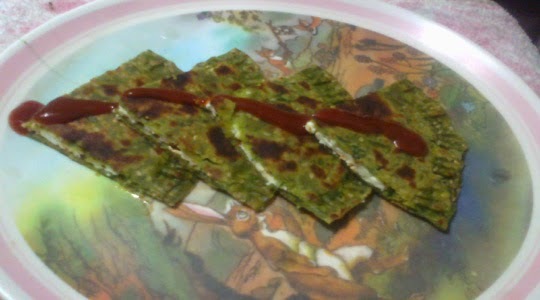 Try this homemade recipe of pizza paratha for dinner or stomach filling snack. 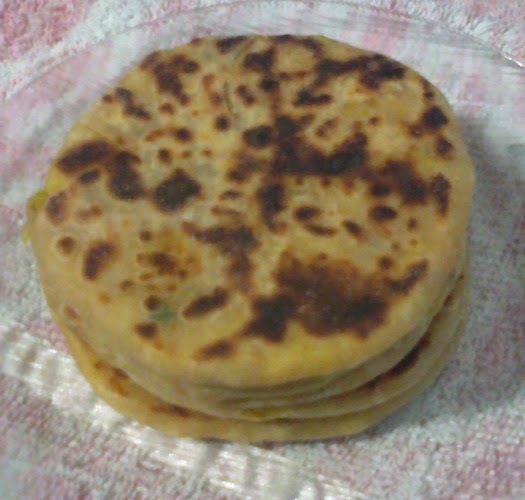 Recipe by Naiya Sheth: In earlier recipe, we made very simple and popular aloo paratha. But now it's time to make healthier and delicious paratha. As the name indicates it contains palakh and paneer which are very good for health. And as earlier paratha, it is the best choice for kid lunch box also. 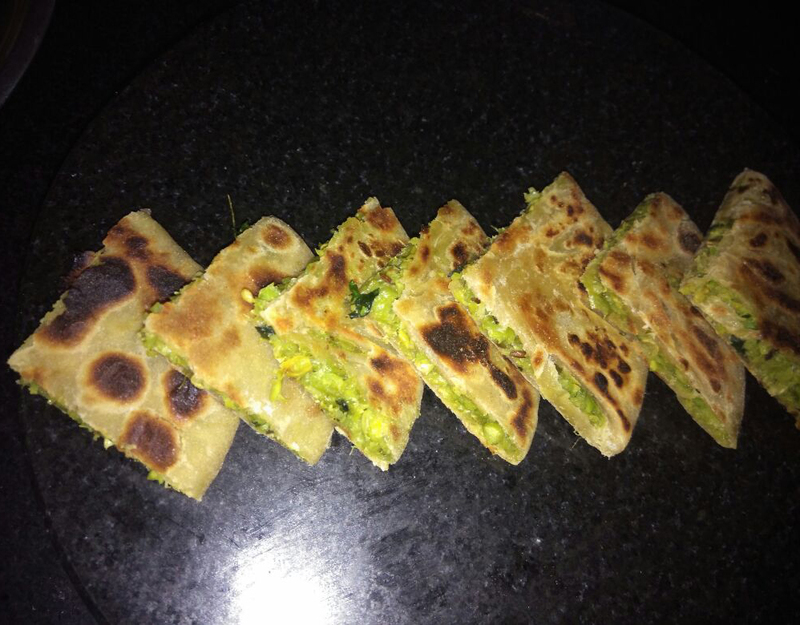 So try this healthy and delicious Palakh Paneer Paratha as breakfast, snacks or for single menu dinner also. Recipe by Naiya Sheth: Now a days life is very quick. Everyone is busy with work, means shortage of time. But proper filling breakfast and snack is must in this fast life. So I tried to make some delicious stuffed parathas. And of course I started with Aloo Paratha. It can be ideal as filling lunch box recipe also. Potato - Aloo is everyone's favourite and easily available vegetable. 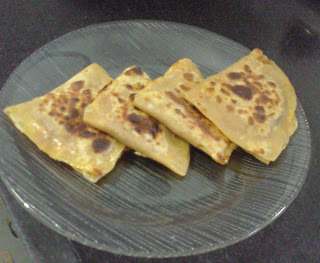 And here it's a really very tasty and filling home made recipe of aloo paratha. It can be served with curd, pickle or ketch up also.